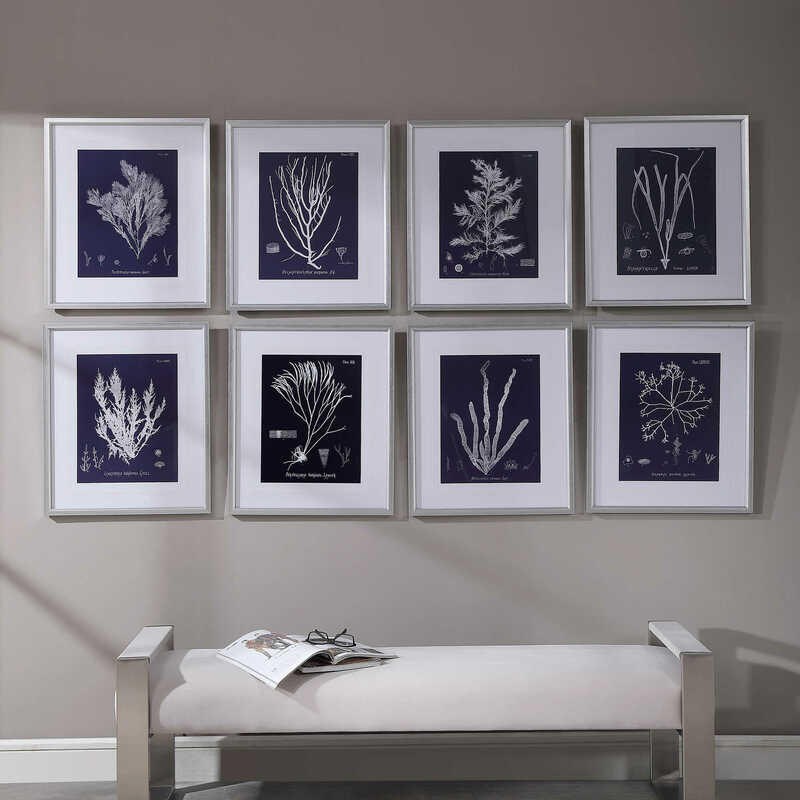 Evoking classic scientific texts, these coral study art prints take on a modern twist with a white and navy color scheme. 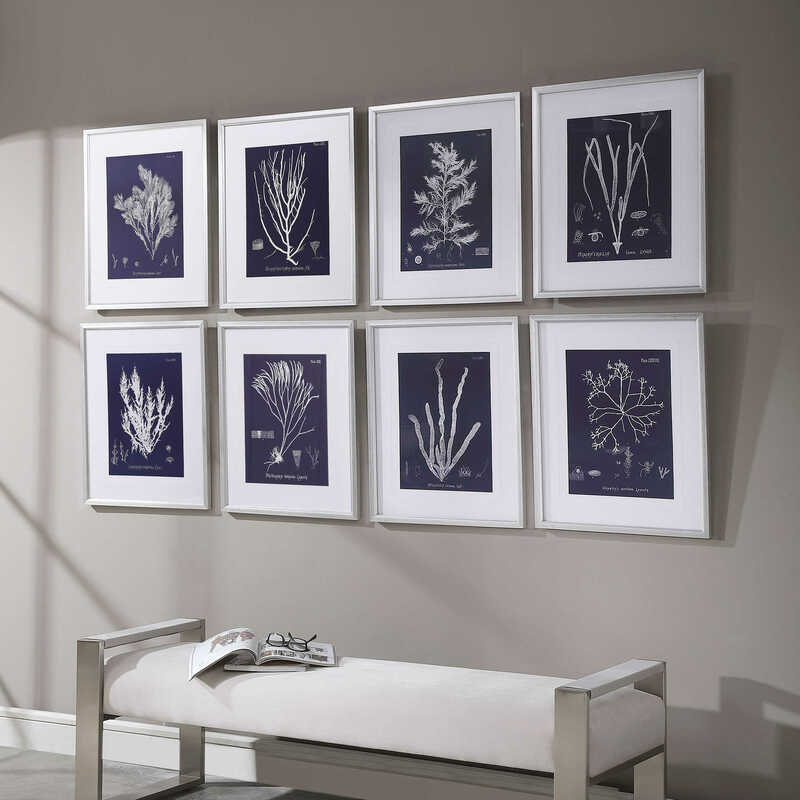 Each piece is surrounded by a white mat with an elegant, v-groove accent. 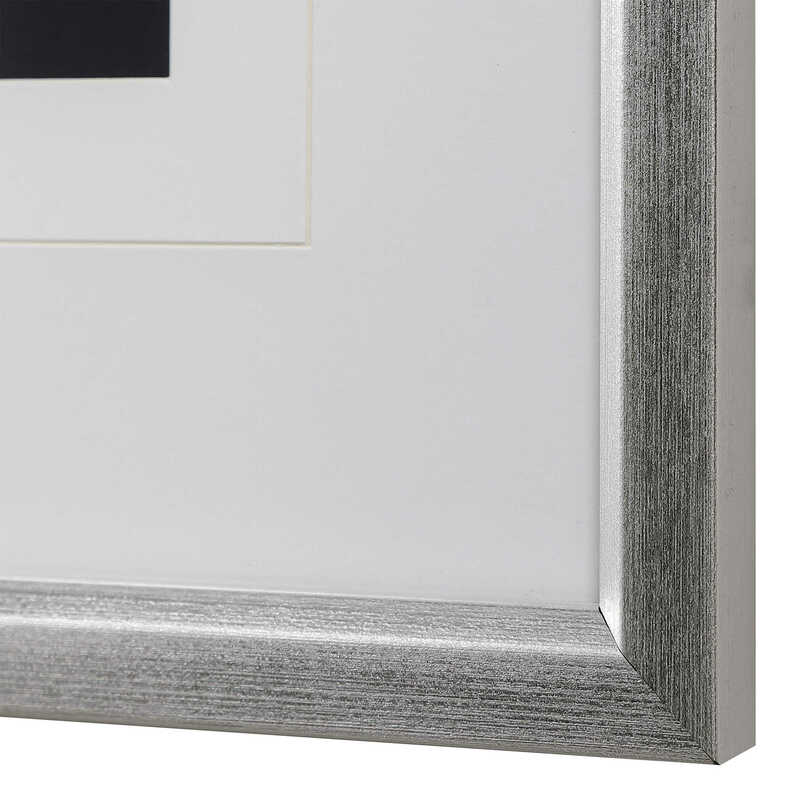 The bright silver leaf frames slope inward, towards each print. 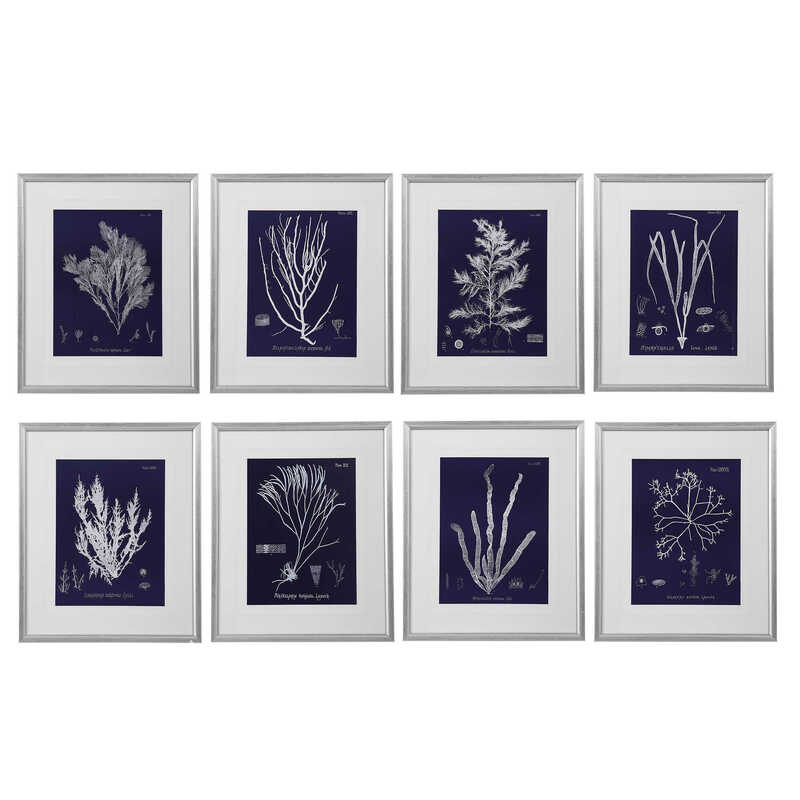 Each print is placed under protective glass.